Firstly I would like to thank Phil for all his help in arranging the perfect yacht for our holiday with 2 young children. We had asked for various out of the box arrangements to be made and these were all taken care of. We arrived at our meeting point The Fresh Cafe in Skiathos and were greeted by the base manager Lambros , for which nothing was to much trouble even giving us enough sheets and towels for a month at sea. The yacht was perfectly equipped and had so many extras that we were taken aback. it even had a microwave. 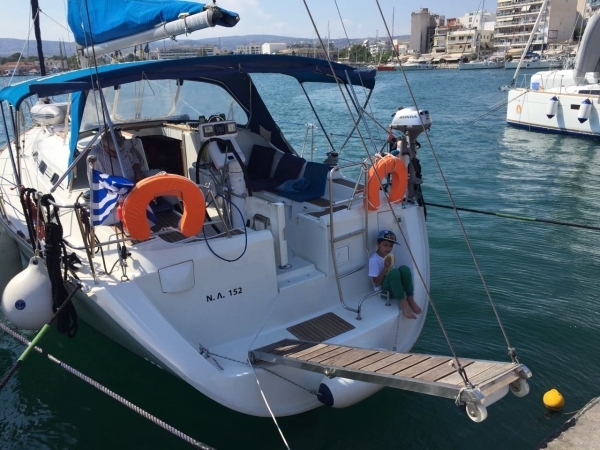 We had a wonderful time sailing around the Sporades and took the advice from Lambros as to where to go . Many memorable moments but waking up surrounded by Giant fishing vessels did make for an interesting exit. Thanks again to Phil and Lambros and once again I would like to thank Lambros for the extra hours given on board whilst waiting for our flight. "As this is our second year with Mixit, we can highly recommend Phil services and attitude towards clients. 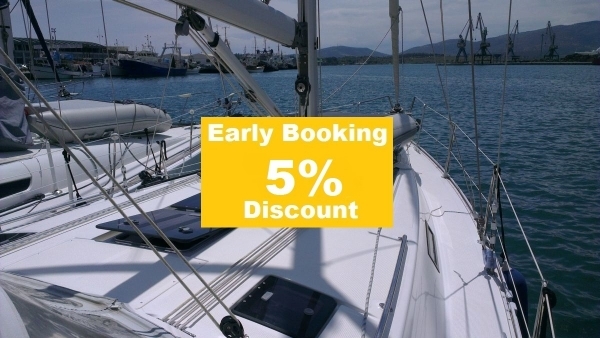 Both of the boats we chartered, were in very good condition and we enjoyed very nice sailing trips. My mother even drew a picture of the Beneteau Oceanis 393 that we had in the second year. 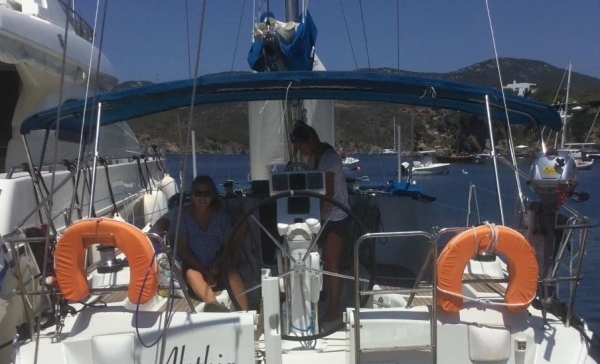 In both of the trips we had the luck to make 50+ daily miles under sails (Skopelos – Volos and Skopelos – Achileo) and we can say that everything in the rigging was perfect. 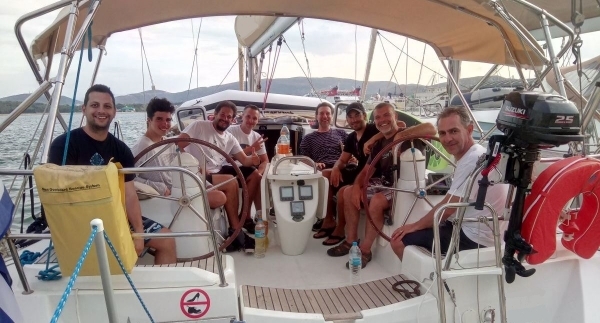 Owners of the yachts, Thanasis and George, were also very friendly and shared a lot of useful information. First year we were on the Beneteau Oceanis 381. The only reason for change were 1.2 foots and limited availability of the 381"